Will Gmail's new inbox layout affect email marketing? Are you accessing Gmail from web? Have you seen the new tab layout by Gmail? Gmail is rolling out new inbox by phases so hang on if it is not in your inbox yet. Primary: Person-to-person communications, for example from your contacts. Social: Messages from social networks, for example Facebook, Twitter, LinkedIn etc. Promotions: Deals, offers, marketing emails and yes, from online retailers. In fact, there are also 2 more tabs of Updates (for bills, statements) and Forums (discussion boards, mailing lists). Similar inbox layout has also been implemented in Gmail mobile app, where Primary is the default tab. You have to click on the menu to navigate to other tabs like Promotions. Which email client do you use to access Gmail? Personally, I am accessing Gmail via Outlook using POP at home, using Gmail web in the office, and Apple's mail app on my iPhone. How about you? According to Litmus, 4% of 250 million email opens are using Gmail (June 2013). On another hand, popular email marketing service Campaign Monitor has reported 8.43% Gmail as email client (September 2012). The email client a person is using can only be detected if images are displayed. This can give an inflated weighting to email clients that display images by default, such as Outlook 2000 and the iPhone. It will also provide a lesser weighting to those that block images by default such as Gmail and Outlook 2007+. Those email clients that aren't capable of displaying images, such as older Blackberry models and other mobile devices cannot be included in this study. In any case, one thing for sure is Gmail, Yahoo! 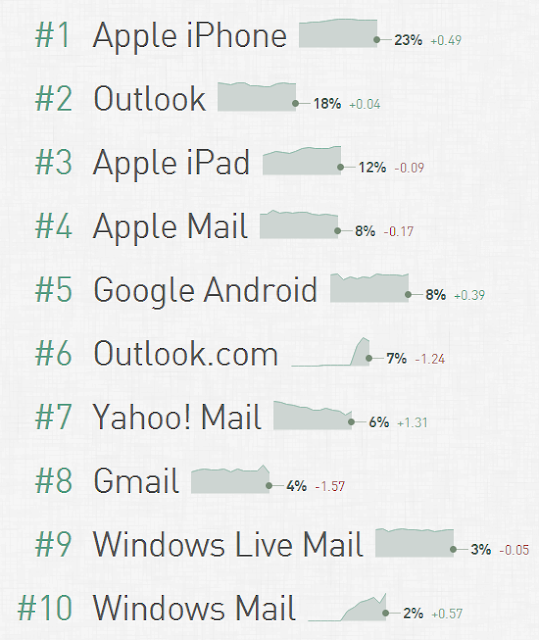 Mail, Outlook.com (previously Hotmail) are the top 3 email providers right now. 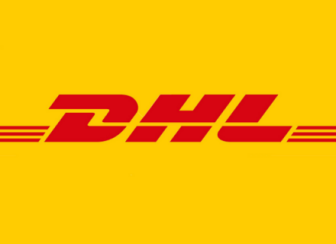 How will Gmail's new tab layout affect e-commerce? No doubt that significant user interface changes by Gmail would have certain level of impact to email marketing campaigns, let's look at it from 3 perspectives. From the doomy view: The default tab is Primary, perhaps some users would not have realized that there is a Promotions tab. As a result, email open rate from Gmail web would have gone down as users need to navigate to Promotions tab to open your marketing messages. Look on the bright side: If users are navigating to Promotions tab, that means they are open and willing to check out the deals and offers. This group of users might have stronger interests in your promotions therefore the conversion rates could have higher from the email opens. Look on the bright side (if you have ads budget): You can make your ads appear like an email! Google's pay-for-placement on Gmail (which appears to be still in beta) could present a new opportunity for advertisers but would it be too intrusive to the users? For now, if you really want to find out the impact of Gmail's layout changes, you can segment the Gmail users from your email subscribers then measure the open rate and conversion rate. Another popular email marketing service MailChimp has just reported an analysis that the open rates for Gmail has gone down after the layout changes. Do share with us in the comment area on your thoughts, experience or any countermeasure you have in mind. ecInsider: Will Gmail's new inbox layout affect email marketing?